Callum Hudson-Odoi has been called into the senior England squad, while his Chelsea team-mate Ruben Loftus-Cheek has pulled out because of injury. 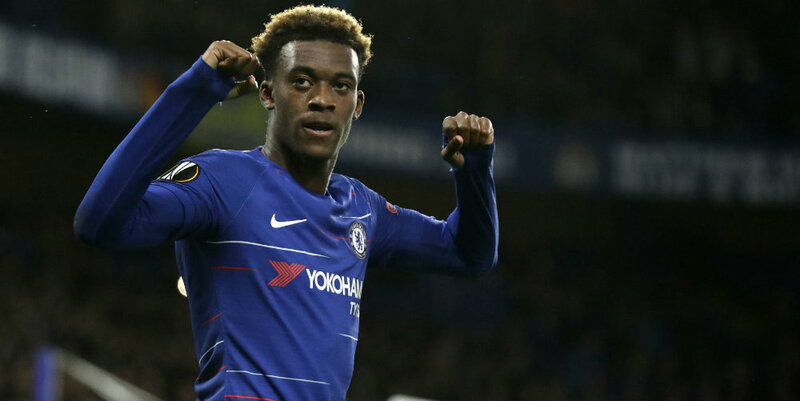 Hudson-Odoi, 18, was recently given his first call-up to the England Under-21 squad. But boss Gareth Southgate decided to promote him for the European Championship qualifiers against the Czech Republic and Montenegro after Manchester United’s Luke Shaw became the latest player to withdraw because of injury. The Football Association announced on Monday morning that Loftus-Cheek had withdrawn along with Manchester City pair John Stones and Fabian Delph. Details of Loftus-Cheek’s injury have not yet been disclosed but he has struggled with a back problem for much of the season. Chelsea head coach Maurizio Sarri recently said the 23-year-old was not fit enough to play a full 90 minutes. Loftus-Cheek came on as a second-half substitute during Chelsea’s 2-0 defeat at Everton on Sunday.